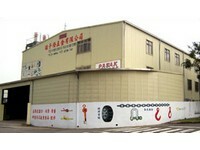 Re Tu Fa Hardware Co., Ltd. was established in 1986. For the past fifteen years, the factory specialized in lifting hardware and fitting, for example weight lifting hook, chain block, webbing sling, lifting clamp, and pulley block. These products have been well sold in domestic market and various countries in the world. In addition, our company has not only excellent experience in import and export, but also technical - cooperation with foreign countries such as Japan, Germany and Italy. Therefore, their products are practical and durable. Having high quality is always our aim. Welcome customers at home and abroad communicate with us and come to the company for business talk. We hope to supply best services. Manufacturer of lifting hardware & fitting, including stainless steel chains, stainless steel hooks, webbing slings, pulley blocks, lifting clamps, stainless steel coils, stainless steel wire ropes, stainless steel cables, weight lifting hooks, chain blocks, lifting magnets, lever blocks, chain binders, wire rope hand pullers, webbing hand pullers, tow ropes, cargo trolley, lifting & L & steel clamps, beam clamps, magnetic lifting trays, drum lifters.